For the 1st time ever, KFC Malaysia presents this meal. 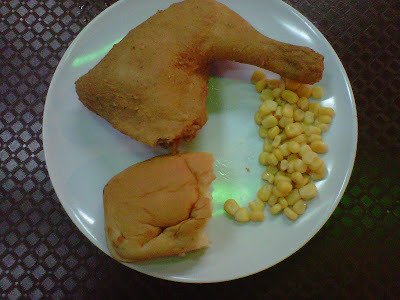 Only whole chicken leg (original recipe) are available. Perhaps this is the replacement for the KFC OR Chicken Chop. (Picture: KFC Quarter Chicken without black paper sauce).